Elimination Chamber has come and gone, and the groundwork for Wrestlemania 29 has been laid. Click “read more” for detail-free match results from the show. If you want something more detailed, check out ProWrestling.net who are good at doing these things. Here are the results for the evening portion of National Pro Wrestling Day, held live in Philadelphia, PA, courtesy of PWInsider. 2 Cold Scorpio pinned ACH to win the 2013 Rey de Voladores Tournament. You can watch the evening event, as well as the afternoon show, on Smark Mark Video on Demand. 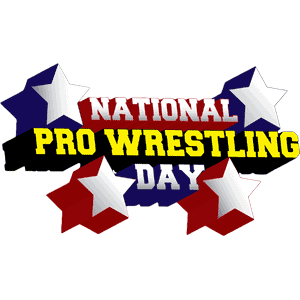 Here are the results for the afternoon portion of yesterday’s National Pro Wrestling Day event, courtesy of PWInsider. 2 Cold Scorpio defeated Shane Hollister, Jojo Bravo, & Oliver Grimsley in a Rey de Voladores Tournament Match. ACH defeated Surfer Mitch, Bolt Brady, & Lukas Sharp in a Rey de Voladores Tournament Match. You can watch the afternoon show, as well as the evening show, over at Smark Mark Video on Demand. 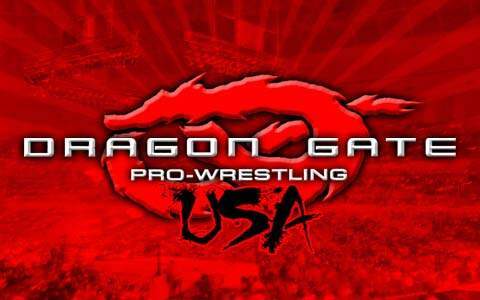 Dragon Gate USA concluded its busy weekend yesterday afternoon with Heat 2013, the last of three shows during Royal Rumble weekend. Here are the results of the iPPV courtesy of PWPonderings. Rich Swann pinned Arik Cannon with the standing 450 splash. Jon Davis beat Drake Younger by knockout after a knee and a series strikes. Chuck Taylor pinned EITA with the Awful Waffle. Johnny Gargano (c) defeated Brian Kendrick by submission with the Garga-NO Escape to retain the Open the Freedom Gate Title. Samuray Del Sol pinned Ryo Saito. Sami Callihan defeated Jimmy Susumu by submission with the Stretch Muffler. AR Fox & Akira Tozawa defeated The Young Bucks. 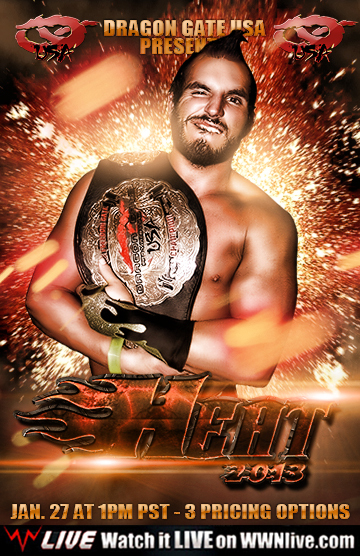 DGUSA Heat 2013 is available for On-Demand viewing on WWNLive. Last night DGUSA held the first of their three events this weekend, Open the Golden Gate 2013, from Santa Maria, California. Although the show isn’t available on WWNLive yet, here are the results for the show if you can’t wait courtesy of PWTorch. Brian Cage defeated Ray Rosas; Cage officially joined The Scene (Caleb Konley, Scott Reed, & Larry Dallas) after the match. Chuck Taylor defeated AR Fox and Jon Davis in an “EVOLVE Records Match”. Davis was eliminated first, then Taylor defeated Fox with the Awful Waffle to win the whole thing. The Jimmys (Ryo Saito & Jimmy Susumu) defeated *Open the Freedom Gate Champion* Johnny Gargano & Rich Swann. The Young Bucks (Matt Jackson & Nick Jackson) defeated D.U.F. (Sami Callihan & Arik Cannon). Stay tuned for DGUSA’s second show of the weekend, Revolt! 2013 (peep the announced card here), live on iPPV tonight starting at 8PM Pacific Time. I will have a quick recap/review of that show after it airs. Go to WWNLive to order the show. Illinois-based AAW held their first event of 2013, Chaos Theory, yesterday live from the Berwyn Eagles Club in Berwin, IL. Here are the results from the show, taken from my former stomping grounds PWPonderings. Shane Hollister & Silas Young defeated Davey Richards & *AAW Heavyweight Champion* Michael Elgin when Richards turned on Elgin. From what I’ve heard on Twitter it was a good show. Judge for yourself when Chaos Theory hits Smart Mark Video On Demand in the near-future.